While we understand your recent move has left you exhausted and pouty (especially with all those boxes, all over the place, all blocking your ability to take a load off and relax), it’s time we snap you back into reality. 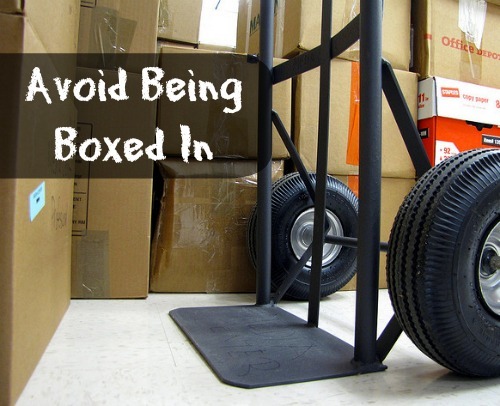 Those stacks of boxes aren’t going anywhere unless you do something about them. It’s certainly a bit off-putting to think about finding places for all of your belongings, especially after hours upon hours of strategic packing. But instead of sitting around in self-pity, stand up, take a deep breath and get busy organizing your home so it looks like just that – a home. But don’t worry. We wouldn’t put you to work without helping you along the way, so enjoy these six easy steps to getting your new home live-in ready. Set up beds and hang curtains. One of the easiest ways to eliminate clutter and create a functional-looking space is to set up beds in each bedroom and hang curtains on every window. Developing a homey atmosphere from room to room will entice more motivation when it comes to unpacking boxes and getting things in order. It’s also nice to know you have a cozy place to sleep after a long day of organizing. Let’s call it as we see it: life is hectic after a move, no matter your level of organization. As soon as you’ve completed the unloading process, get busy unpacking the boxes that contain your most crucial necessities. It’s best to start with the most frequented rooms, such as the kitchen, where you’ll be refueling with food and drink. After you’ve squared away a few rooms, you’ll start to notice everything coming together. And boy, that’s a fabulous feeling! Clean every room after it’s unpacked. Once you’ve completed the organization of a specific room, clean it thoroughly. Although it’s not an organization tip, having a clean home frees your mind of unnecessary stress. And it’s a proven fact that working in a clean space makes you more inclined to be productive. So finishing off a few unpacked boxes will seem like a breeze! Designate an area for empty boxes. What’s more frustrating than having a room filled with packed boxes? A room filled with empty boxes. Where do you put them? How do you dispose of them? WHY DOES UNPACKING HAVE TO BE SO DIFFICULT? Calm down. Relax. We have a solution. Choose one area of your home – a corner, a closet, or an unused walkway – and start a pile of flattened, unpacked boxes. Once you’ve finished storing away all your items, take the stack of boxes to a recycling center. Invest in a closet storage system. Finding useful home storage systems could be a chore in and of itself. There are hundreds to choose from for all different kinds of spaces. But perhaps the most valuable home storage systems are those that go inside a closet. Maximizing storage space within each closet in your home ensures a perfect place for knick-knacks, cleaning tools and other possessions to live. If you didn’t already go through your things as you packed before the move, it’s time to do so as you unpack. If you come across items that you no longer need or use, consider donating them to charity, so long as they’re in good condition. Find things that have seen better days? It’s time to trash them. Getting rid of unnecessary belongings is a great way to de-clutter and create more living space. That wasn’t so bad was it? Next time you feel like throwing your hands up in defeat, think again. You’re better than those boxes, and you’re better than giving up. Get organized today! This entry was posted in Apartment Moving, Estate Moving, Stress Free Moving Tips and tagged home organization tips, Moving Tips. Bookmark the permalink.